On the last Matchday of 2018, the league leaders took on the 5th placed Arsenal at Anfield. The clashes between these two teams in recent years have provided plenty of entertainment, and this encounter was also expected to be fun. Arsenal began their 2018-19 campaign with two defeats, but went on a hot streak after that, which ended with a loss to Southampton. Liverpool on the other hand have looked in imperious form in the last one month, and a win against the Gunners will open up a big lead at the top of the table. Emery made several changes to the squad which drew against Brighton. Mustafi was preferred in central defence to Koscielny, and Maitland-Niles got a rare chance to start a match as Guendouzi was rested after an intense outing against Brighton. Lacazette was benched, and Alex Iwobi replaced him, while Aaron Ramsey replaced the injured Mesut Ozil. Klopp opted to go with Shaqiri, Fabinho, and Wijnaldum in the midfield, since James Milner was injured. Arsenal maintained possession from the start, and put the hosts on the back-foot very early in the game. At the 11th minute, Alex Iwobi showed his talent with a brilliant run on the left flank and an accurate pass to Maitland-Niles who tapped the ball into the net. 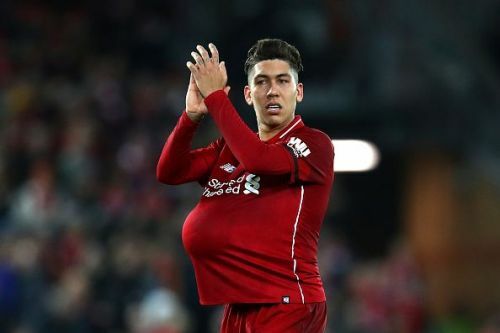 It did not take much time for the Reds to strike back as Roberto Firmino was quick to cash in on an awful defensive error from Lichtsteiner. He scored again moments later with a brilliant run, and the Arsenal defence failed to cope up once again. Mane also joined the party, and Salah scored a penalty just before half time. In the end, Roberto Firmino completed his hat-trick, and Liverpool thrashed Arsenal 5-1. Here are 3 reasons why Liverpool beat Arsenal. 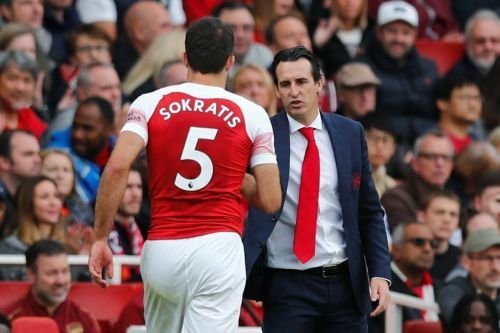 Arsenal was apparently in ruins when Emery took charge, and he has done a decent job to keep them in contention for a top four spot. But one thing that has not changed is the wafer thin defense of Arsenal, and Emery just does not have the players at his disposal to solve this problem. Everything wrong about the Arsenal defence was on show against Liverpool. Mustafi and Sokratis were slow to react whenever Liverpool countered, and Sokratis gave away a needless penalty to Salah just before half time. Emery loves to maintain a defensive high line, and with such unreliable centre backs, it is not going to work in the long run. Lichtsteiner is an experienced defender, but he is way beyond his prime, and the match was proof that age is slowing down his game. If Arsenal are hoping for a Champions League spot, then Emery has to completely reboot his central defence this January.